Don't miss the opportunity to join this in-house ranking event. Play a minimum of 10 games to get your ranking. Prizes will be given on the 2nd May 2015. 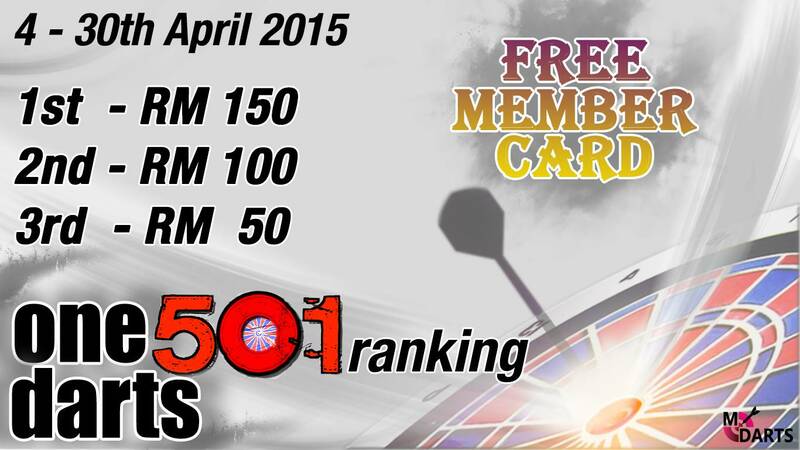 This ranking event is proudly sponsored by One Darts Cafe, Yong Peng.